We undertake complete design , manufacturing , installation , testing and commissioning of LPG gas terminal for unloading and receiving of LPG at port terminals and subsequent filling and distribution of the same . 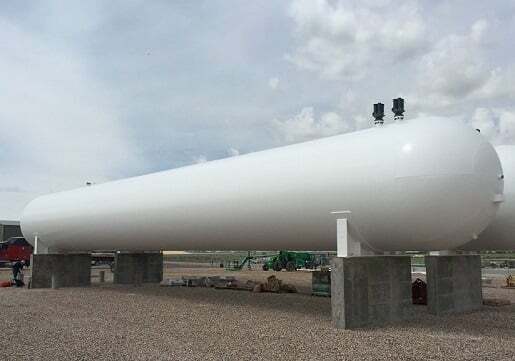 All equipments like Jetty pipeline , LPG storage tanks ( above ground and mounded ) , Safety fittings , Fire fighting system , Deluge system , LPG transport tankers loading bay, Interconnecting pipelines , valves , Gas leak detection system , Alarms , Electricals and other related work is done on turnkey basis . 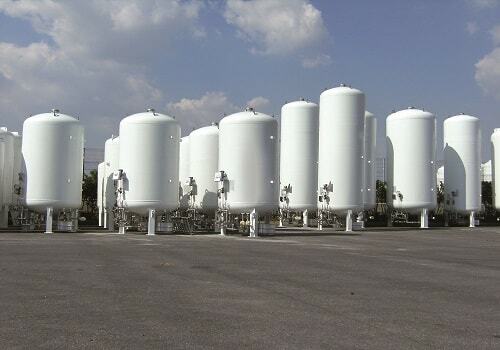 We manufacture LPG transport tanks of various capacities ranging from 7500 Liters to 57000 Liters . The unit comes with all safety features as per norms . Semi trailer tanks are provided with double or triple axle rear trailers .The tanks are provided with unloading pumps for decanting .All accessories like Tyres , mudguard , king pin 2 or 3.5" ,safety fittings ,valves , pipelines, Excess flow valves , internal valves , are provided as per requirement . We manufacture Spherical storage tanks ( Horton spheres ) of diameter ranging from 10000 mm to 22000 mm & thickness upto 72mm, as well as Refrigerated spheres for Butadiene & Ammonia storage.The spheres are designed as per ASME Sec.VIII Div.1, Div,2 and BS 5500 codes. We have executed storage facility including Civil, Mechanical, Piping, Electrical and Instrumentation. We manufacture Auto Gas stations for filling LPG gas in cars and other vehicles . This is a custom built ready to install plant . 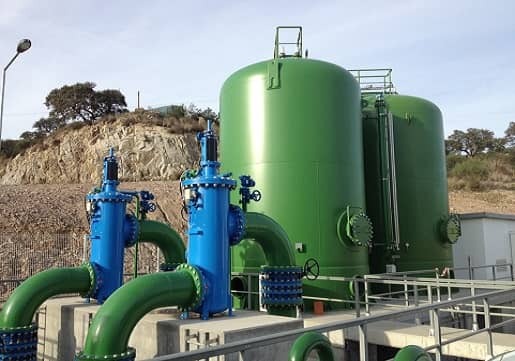 Their are various models available with storage tank capacity ranging from 3000 Liters to 100000 Liters and with the choice of single or double nozzle LPG dispenser . The unit comes with all safety features as per norms . The unit is easy to install and operate and much cheaper as compared to other plants . 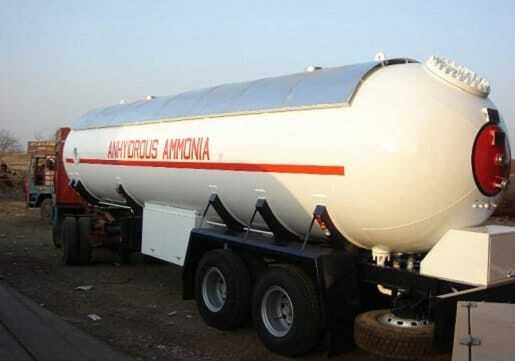 We manufacture LPG transport truck tanks of various capacities ranging from 7500 Liters to 37000 Liters . The unit comes with all safety features as per norms . 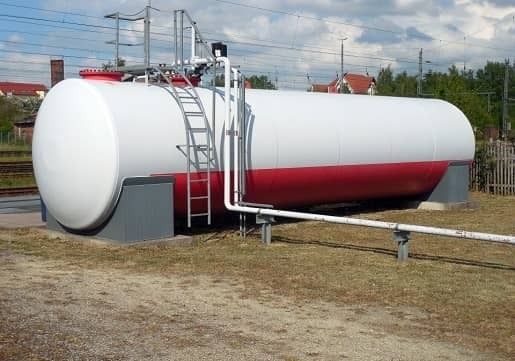 The tanks are provided with unloading pumps for decanting .All accessories like Tyres , mudguard , safety fittings ,valves , pipelines, Excess flow valves , internal valves , are provided as per requirement . We manufacture small lpg tanks used for domestic purpose like hotels , household , kitchens and other applications . We supply complete facility for LPG storage and use including storage tank , piping , safety fittings , valves , vaporiser , pressure reducing station , manifold piping , reticulated piping system . The storage tanks are above ground as well as under ground type . 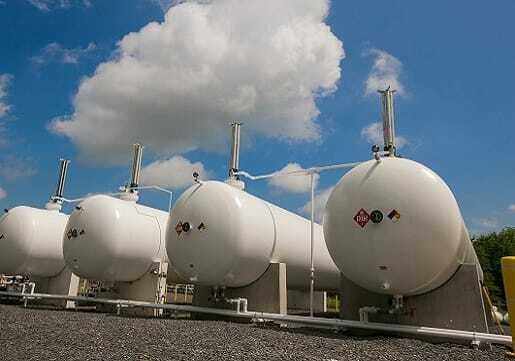 We, BNH Gas Tanks manufacture and provide total turnkey solution for bulk LPG storage facility with vaporiser , pressure reducing station and other accessories for use of LPG as fuel in various Industries like Steel , Cement, Ceramics , Automotive , Glass and various other applications . We are exporter and manufacturer of LPG Mounded Bullets, Underground LPG Mounded Bullets at cheap cost. Lpg mounded bullet Volumes are from 500 M3 to 20000 M3 Total Storage, as well as Refrigerated mounded for propane storage. The Mounded Bullets are designed as per ASME Sec. VIII Div.1, ASME Sec. VIII Div.2 and BS 5500 codes. We have executed storage facility including Mechanical, Civil, Piping, Instrumentation and Electrical. We are a leading Manufacturer of LPG Mounded Bullet, LPG Mounded Bullet Tanks, Industrial LPG Mounded Bullet and Propane Mounded Bullet from Pune, India.